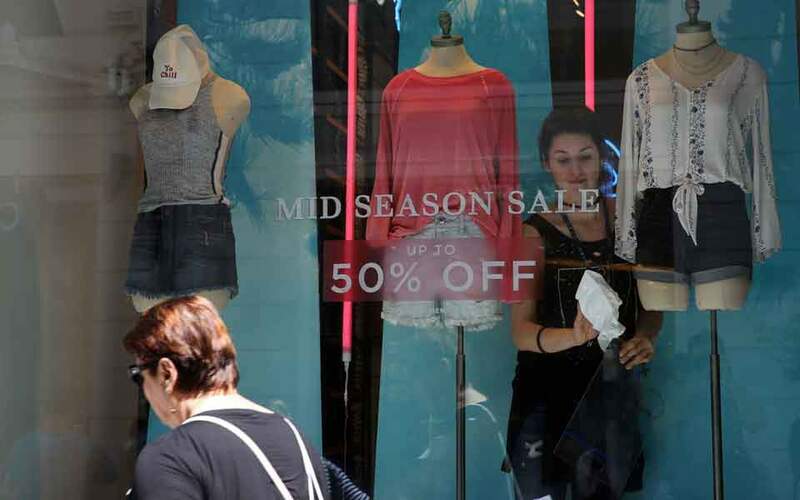 Greek consumers are slowly regaining their optimism, but businesses are increasingly pessimistic, and it is on them that the long-term prosperity of consumers depends. This contradiction is revealed in the Business and Consumer Surveys for October released on Thursday by the Foundation for Economic and Industrial Research (IOBE). While the consumer confidence index rose to minus 38.3 points last month, from minus 44.9 in September, the economic sentiment index continued its decline in October to 101 points, from 101.3 points in September. The biggest deterioration is recorded in business expectations in industry, with the index falling below 100 points, to 98.9 from 104.5 points in September. That is also reflected in the Purchasing Managers Index (PMI) that Markit compiles: It showed a decline to 53.1 points in October from 53.6 in September.